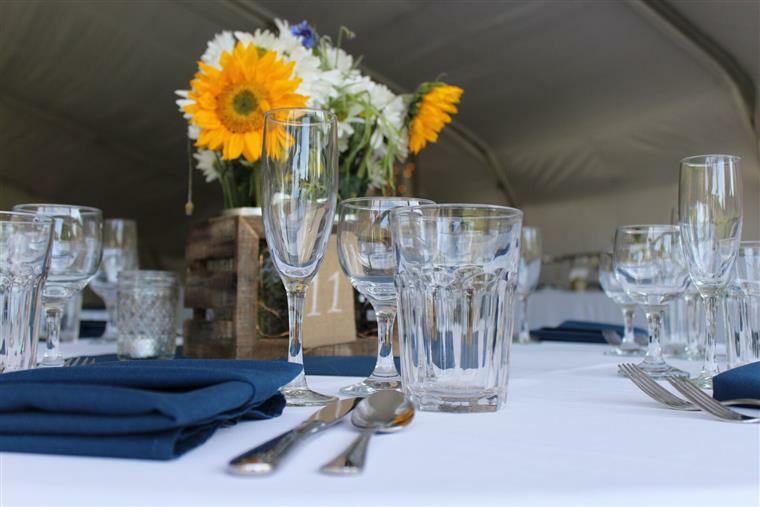 The Dover Forge can cater or host the wedding or rehearsal dinner of your dreams. Our beautiful six acre property located 183 Route 100, Dover, Vermont, right in the heart of southern Vermont, makes your day convenient and affordable. 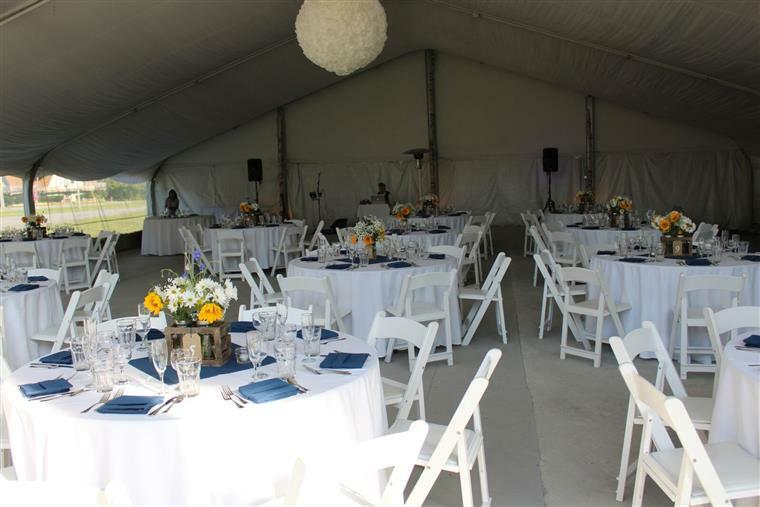 Reception choices include our entire 140 seat restaurant and billiard themed tavern to our spacious event tent under the stars. We have a large outdoor area with comfortable lounge furniture, picnic tables, large bonfire pit, horse shoes and other outdoor games to keep the whole family having fun. 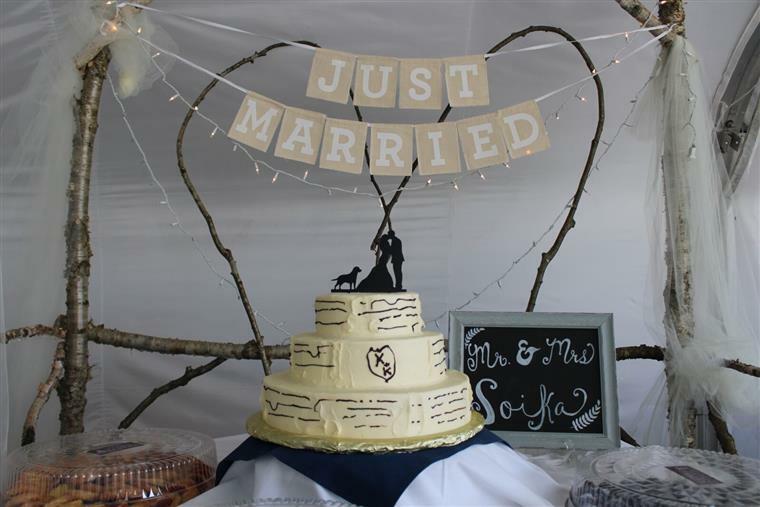 Our wedding menus can range from our famous BBQ buffet featuring our house smoked ribs, brisket, pulled pork and chicken to a plated filet mignon and lobster. Vegetarian and vegan options are available as are completely gluten free menus custom made for your special day. "Absolutely AMAZING! i just got married here on October 20th 2018 and it was my dream wedding! Every pin on Pinterest i fell in love with that i never thought could become a reality did all because of Alan. He was so easy to work with he went above and beyond to make sure every one of our needs were met. The food was incredible! I cannot say enough of about the food. Everyone had the most amazing time we are from Long Island and 110 people traveled here and are still talking about our wedding how it was one of the best they’ve been to. I would recommend this place OVER AND OVER AND OVER again." "The crew from the Dover Forge is nothing short of exceptional. 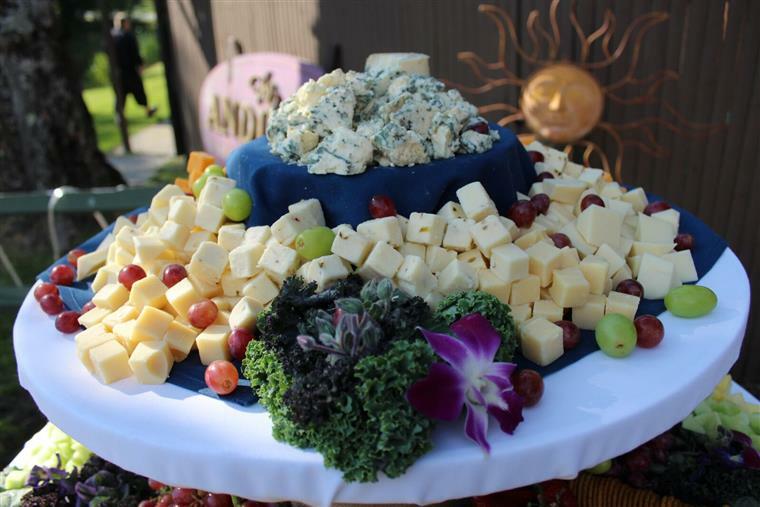 The food that Chef Adam prepared and catered during our wedding was truly outstanding. From the first day we reached out to the Dover Forge, all the way up to our wedding day, Alan (general manager) gave us confidence as he thought of every detail, and had a solution that fit our needs and vision. We were invited for a food tasting several months before our wedding to make sure the food was to our liking (and it was superb!) Every small detail was planned and executed professionally. We cannot thank Alan and his staff enough for their fun, friendly, and charismatic attitude during our wedding. Alan and the Dover Forge crew truly helped to make the wedding of our dreams come true. We highly recommend! Thank you!" "I don’t think we could say enough about our experience at the Dover Forge. Alan was amazing—he helped us to create a perfect wedding party. We were arranging from across the country so we really needed a location that could handle things without a lot of oversite, and the did! So many of our guests went out of their way to say how much they enjoyed the food (the ribs!!!) and location. 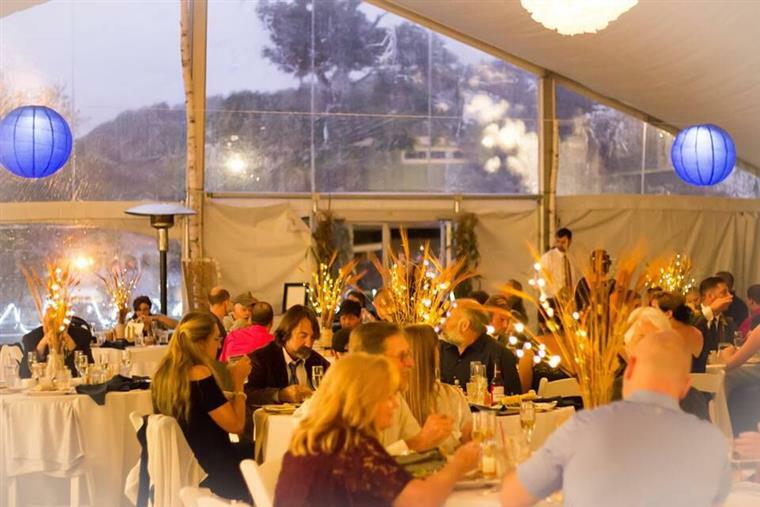 The Forge is a beautiful place for an event—between the tent, outdoor area and indoor space, our guests could spread out and enjoy. The fire pit and outdoor games were enjoyed by kids and adults alike. It’s location can’t be beat as there are plenty of nice, reasonable places close by for people to stay. We would highly recommend the Dover Forge for a wedding event and are so glad we chose it." "I was referred to Dover forge after looking on Facebook for a venue for my son. I told them my budget and they worked with me. It was easy to plan with the help of Allen, the food was a hit with all our guest. The restaurant and the grounds are amazing first pit, lounge furniture, horse shoes, outside tent for dancing or by chance it rains. (Food pics of date of sameling) your meal plates are full!" "Alan and his staff could not have been easier to work. My fiancé ( now husband) and I were very DIY with lots of ideas and they were so enthusiastic when it came to helping us pull it all off. The tent was a dream, the food is still being raved about and billiards/karaoke entertainment were such a fun way to engage everyone. We couldn't have picked a better place to host our wedding and our guests all agree. We recommend it highly on every level! 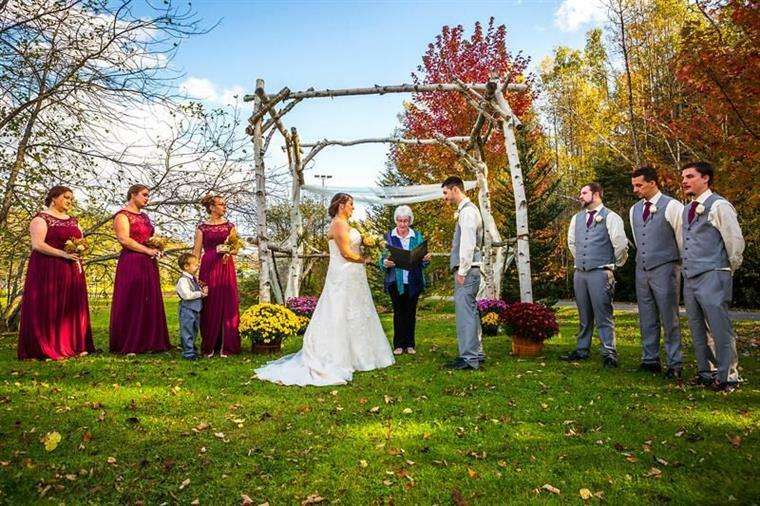 - Tiffany & Chris R."
"The Dover Forge was the perfect place for our October wedding! My husband and I live close by and were looking for a local venue to fit in with our VT roots. We could not be happier with the quality of service and attentiveness by the staff. Alan, the manager, was so great and worked out every detail flawlessly. Our day was more perfect than we could have ever imagined! Great food and awesome location." "This is the best location for any wedding! The service, food and staff are phenomenal. This is a true Vermont venue where there are many things for your guests to do such as horse shoes, pool tables, a bonfire and marshmallow roasting for the little ones. 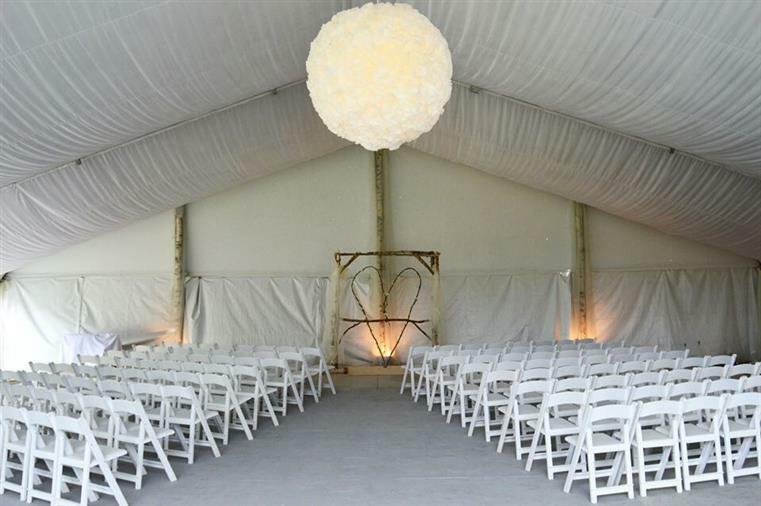 If you are looking for a great destination wedding in Vermont this is the place to be! 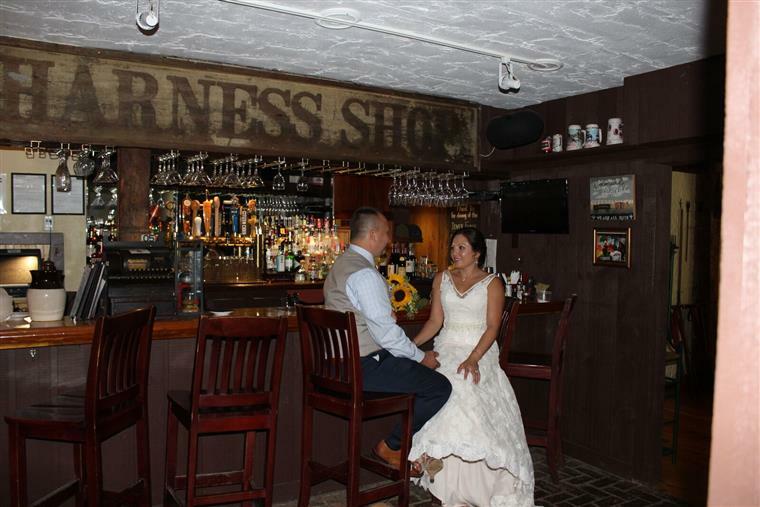 Thank you to all the staff at the Dover Forge that helped make our wedding day spectacular!" 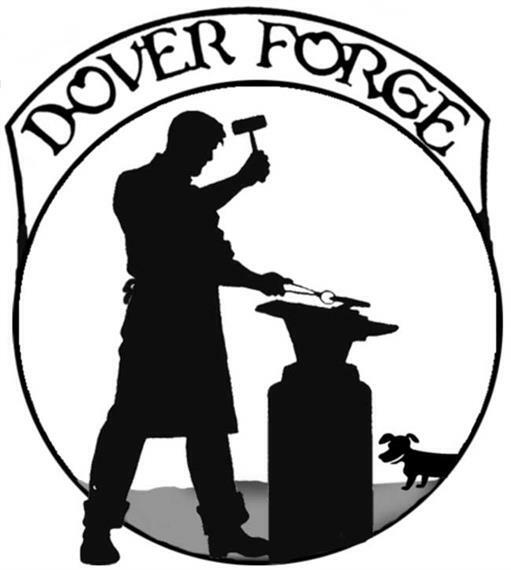 "We want to first clarify that we are in no way affiliated with the Dover Forge or anyone who works there. The reason we want to clarify is because we want everyone to take it seriously when we say that THIS IS THE BEST PLACE TO HAVE YOUR WEDDING!! Honestly though. Between the gorgeous Vermont scenery, the beautiful tent, the affordable price, actually delicious food, and the friendliest-most helpful staff you could ever imagine there really is no question that the Dover Forge is top notch. We are from Pennsylvania so we were a little tentative to trek up to Vermont to meet with Alan and his staff for the first time, but within 5 minutes of talking with Alan we knew this was the place was a hidden gem. 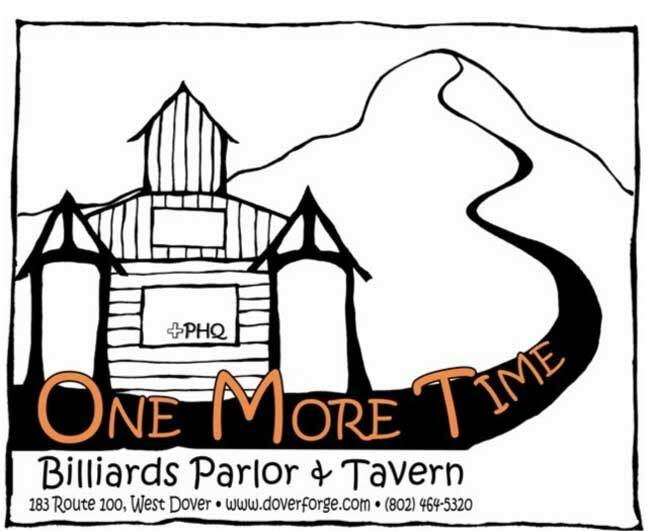 If you want a venue that has plenty of entertainment for your guests, the Dover Forge has a full billiards hall inside and plenty of space outside for horseshoes, corn hole, and even a giant adirondack chair for pictures if you want! Looking for a place with food that puts traditional wedding fair to shame? The chef has you covered! He is incredibly friendly and clearly passionate about what he does and it is evident in his food. His BBQ is amazing...to the point where he smokes his onions to make his bbq sauces. Lastly, but certainly not least, Alan. Alan is the wedding coordinator and he is everything you could ever ask for in a coordinator and so much more. He walks through every single detail with you, making sure everyone is on the same page and he takes care of virtually everything. to the point where he was offering to make us various decorations by hand if we wanted them! There is so much more that we could add but honestly you just need to stop reading this review and contact Alan and his staff at Dover Forge immediately. You will not regret it!" 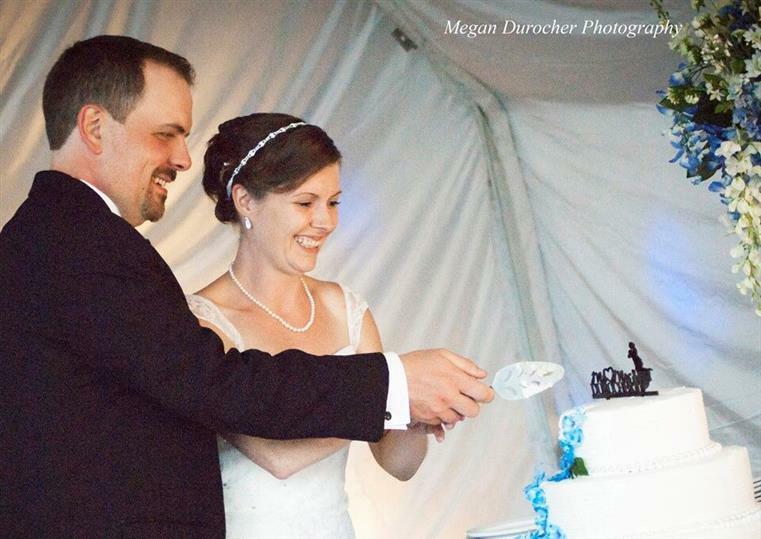 "We cannot say enough great things about our wedding experience at the Dover Forge. From our first contact with Alan, the general manager, he was always responsive to any questions and ideas we had. Having a quasi- destination wedding in VT (we're from NJ), it put our mind at ease to know Alan and his crew were on top of it all. We had both our ceremony and reception (and after party!) at the Dover Forge. 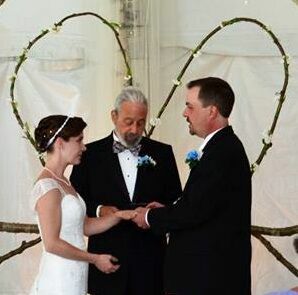 The ceremony started in the field of the 6-acre property with an arbor made from birch trees to match our rustic theme. The guests then proceeded to the backyard and OMT (billiards hall) for cocktail hour with both stationary tables and passed apps. Guests loved that they could just hang out, play some pool, or even some lawn games. We loved that there were great photo ops right on the property, as well as the park right across the street. After cocktail hour, we continued the party in their tent that comfortably sat our 90 guests. We opted for the BBQ buffet and that was probably one of the best choices we could've made because our guests were raving about all the food, but in particular the meatloaf, pulled pork, sweet mashed potatoes, and Mac n' cheese. As night approached, some people migrated to the fire pit where there were marshmallows to roast over the fire. From start to finish, we loved every moment. The venue is close to a MOOVER stop so your guests can safely get back and forth to many hotels and BNBs. If you're planning a wedding that is casual and laid back, but with good food and affordability, as well as a professional crew to help ensure your day is complete, I would highly recommend the Dover Forge.."
"We were married here and had our reception here. This place, it's food, it's staff- all amazing. Our special day would not have been so special without the Dover forge. The venue was beautiful, and it STORMED on our wedding day. But the forge had a beautiful tent ready to go. And it was perfect. 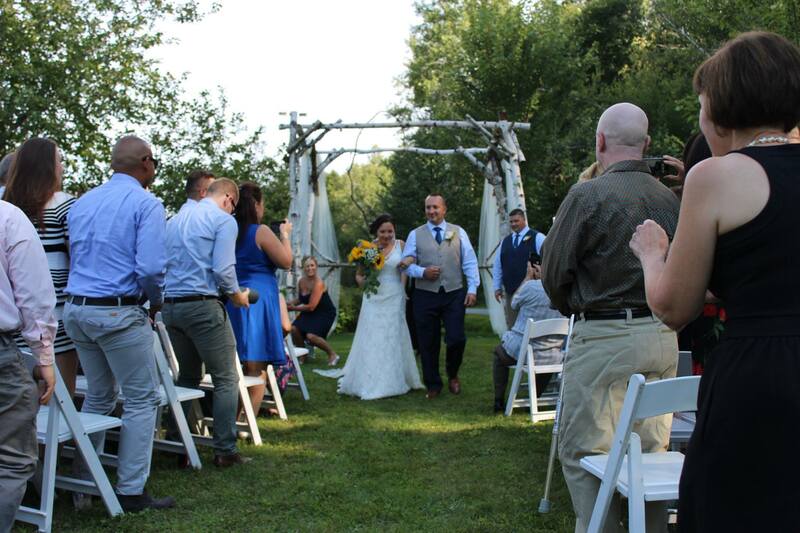 The fireplace, the outdoor fire pit, the rustic dining area, the green flat lawn and the flowers laced around the pond.... Can't beat this place for an ideal TRUE Vermont wedding at a price that doesn't start your life together in debt. Thank you Alan and staff for all you did. Ps... The food was incredible and we are still recieving compliments on it." Looking to book a non-wedding event? See our Catering & Events page.